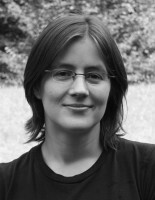 Marlen Schlöffel studied Geography at the Technische Universtität Dresden with minors in geology and meteorology. As part of her diploma thesis she started to specialise in peatlands and paleobotanical methods, mainly pollen analysis. As a doctoral fellow she has investigated the landscape history of the northeastern Black Sea region together with the prehistorian Leon van Hoof. Both worked closely together within the research project (A-I-2) Taganrog, Black Sea. Through a multi-disciplinary approach they combined paleoenvironmental data with the data of the inventorisation of archaeological findspots to understand the development of the natural and cultural landscape of the area surrounding the Don delta.